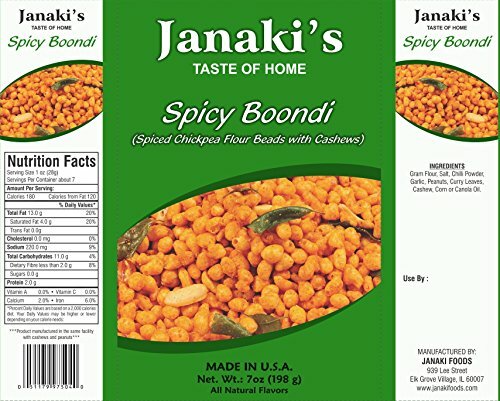 Janaki's Spicy Boondi is made with the finest and freshest ingredients, right here in USA. With more than 50 varieties of Indian Sweets & Snacks, Janaki's brings you the Taste Of an Indian Home in USA. If you have any questions about this product by Janaki's, contact us by completing and submitting the form below. If you are looking for a specif part number, please include it with your message.